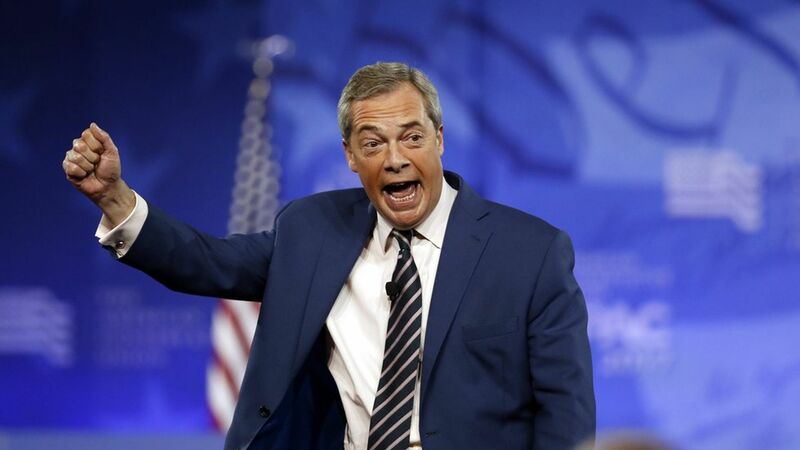 Farage tells CPAC the global populist revolution is "winning"
"Our real friends in the world speak English, have common law, and stand by us in times of crisis." "2016 was the year the nation-state democracy made a comeback against the globalists and those that wish to destroy everything that we have ever been." "We're not against anybody based on religion or ethnicity. We're not against anybody, we're for ourselves, we're for our country, we're for our communities…and we are winning!"